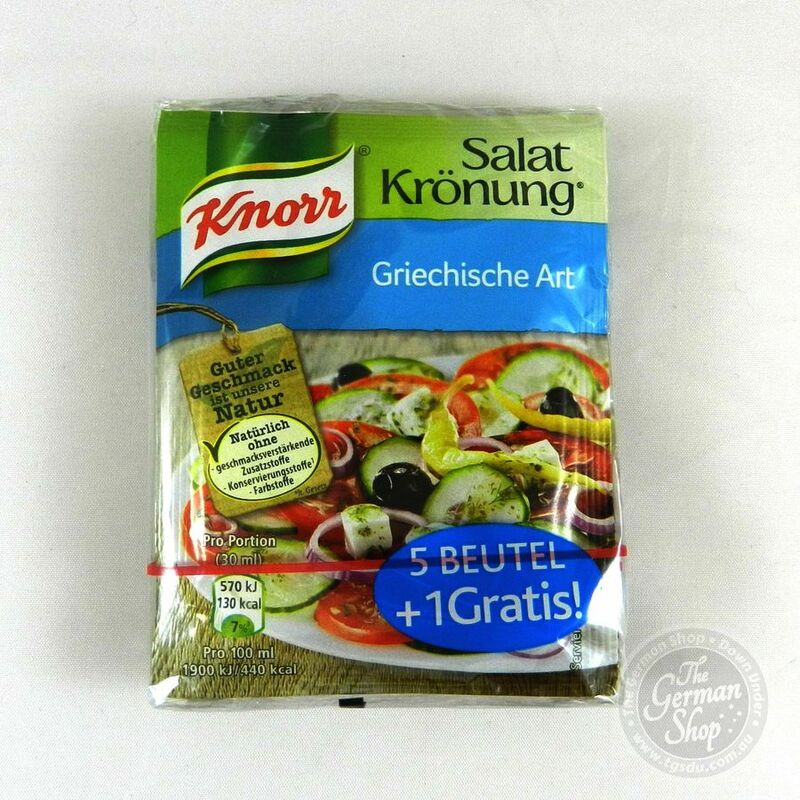 Knorr Salatkrönung spicy garden herbs gives your salad a spicy-savory taste of home garden herbs. The carefully selected herbs are preserved by natural drying and will get their special flavor. 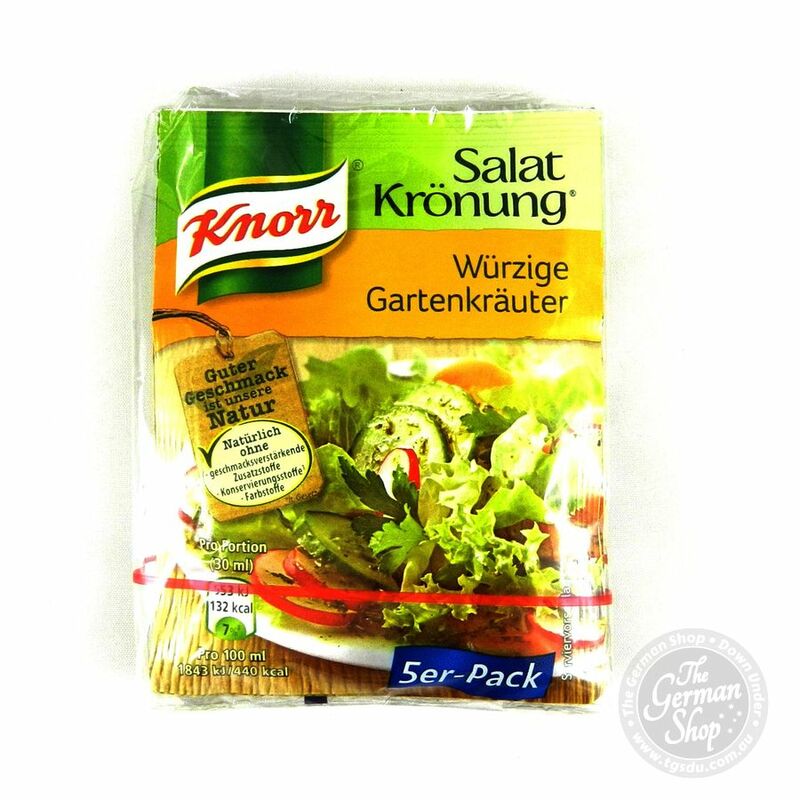 Knorr Salatkrönung spicy gardenherbs gives your salad a spicy-savory taste of home garden herbs. The carefully selected herbs are preserved by natural drying and will get their special flavor. 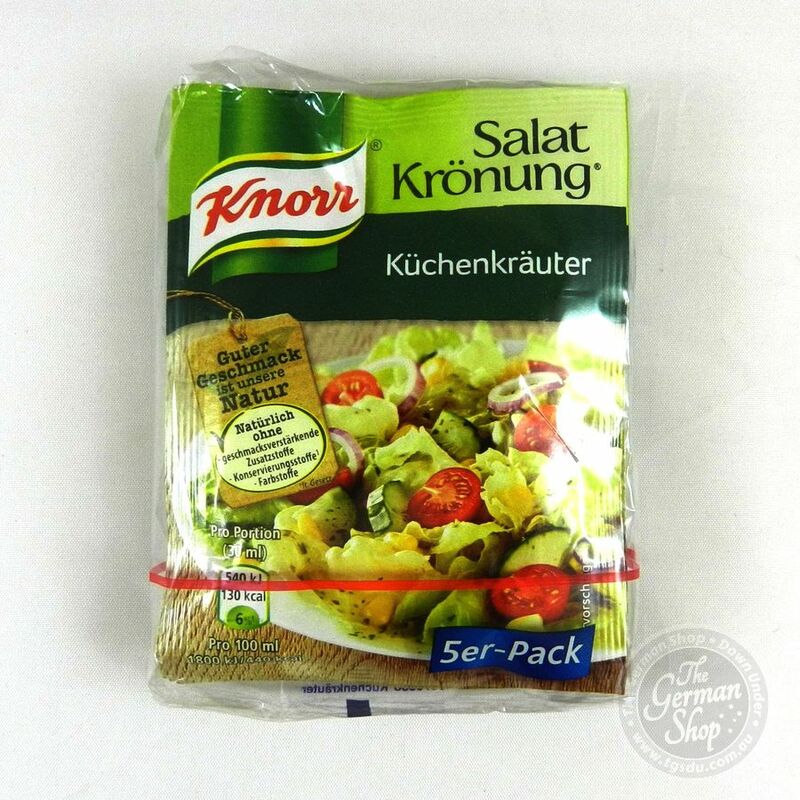 Maltodextrin, 19% iodized sea salt *, sugar, 8% herbs (parsley, chives), acidity regulator sodium diacetate, citric acid, spices (mustard, pepper, garlic, turmeric), starch, lactose, palm oil, onions, yeast extract, lemon juice powder, salt. 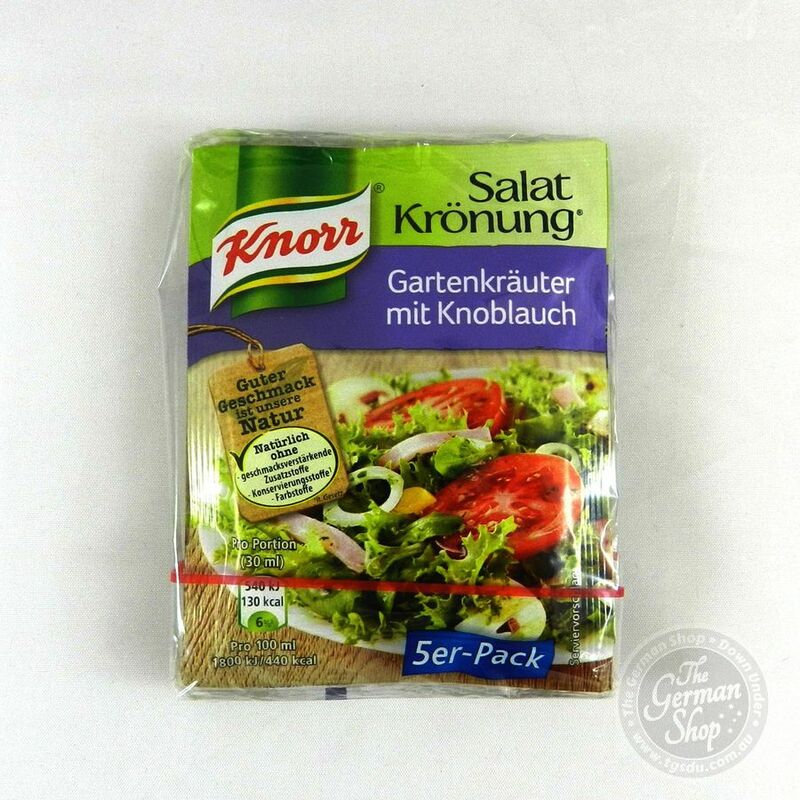 Contains mustard and milk and milk products (including lactose). May contain traces of gluten, egg and celery.